-3mm over size bearing for greater bearing stiffness. 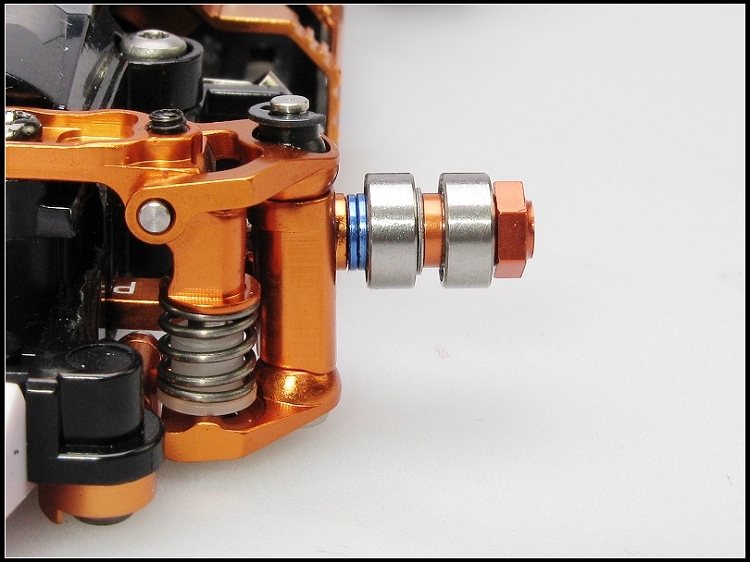 -Axel Hub clamps both bearing inner races tight against axle to eliminate free play between bearing inner race and axle. 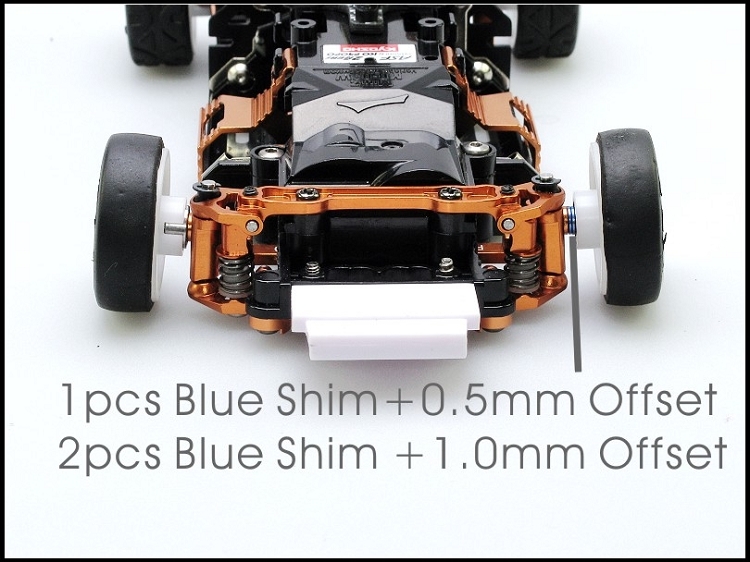 -Majority of the front wheel free play will be eliminated with use of over size 3mm bearing and by clamping of bearing inner races. 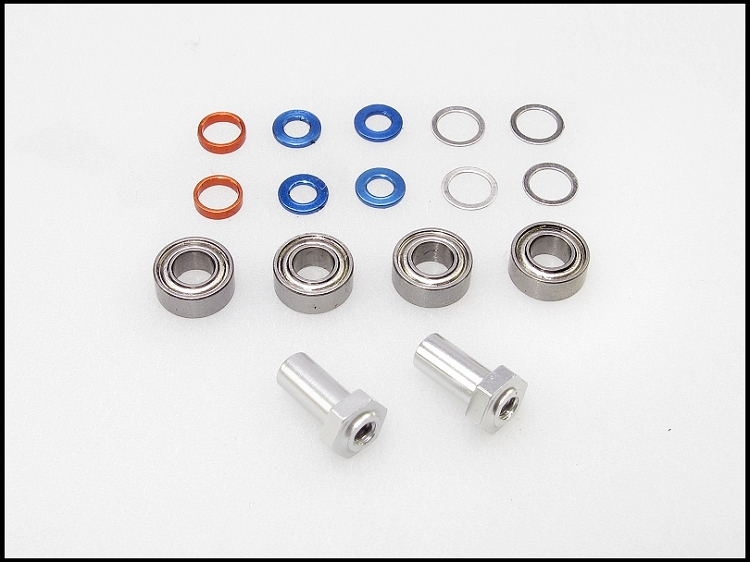 -Bearing spacer shims included to accommodate different bearing spacing on most rims. -Wheel Offset Spacers to increase wheel offset. Increase offset by 0, 0. 5 or 1 mm for fine offset adjustments. MR01, MR02, MR03, F1. 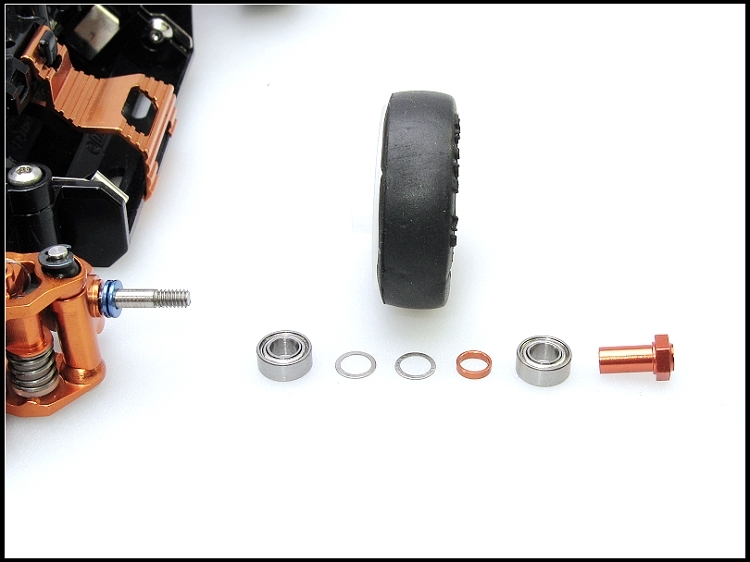 all Mini-Z 2WD front knuckles.